4:1Therefore, my brothers and sisters, you whom I love and long for, my joy and crown, stand firm in the Lord in this way, dear friends! A few months ago, I decided to read the book of Philippians through a couple of times, and one theme stood out to me. Paul repeatedly reminds us that we are made for a different world, and urges us not to get stuck in the ways of this earthly one. This theme is especially clear in today’s passage. So if we are really meant for a different home, how should we live? Paul draws a very compelling image for us. First, Paul reminds us that since our citizenship is in heaven, we should live by different values. Earlier in his letter, Paul reminds us that we are not judged by human effort. Instead, our identity and value comes from Christ alone and what He has accomplished on the cross for us (3:3-9). Because of that, we no longer have to be weighed down by the past but can reach out for the things that are ahead of us—the goal of finishing our race on earth well and being united with Him one day (vv. 13-14). Next, Paul tells us that our earthly bodies will be transformed to be like Jesus’ glorious one (v. 21). Currently our bodies suffer from sicknesses, aches, and injuries. But when we remember that Jesus overcame death, we have hope that one day, our bodies will be holy and no longer susceptible to the effects of sin (Philippians 3:18-19). Just as Jesus will overcome the evil and brokenness of this world, He will overcome the brokenness in our own lives as well. How can we be confident of this? Paul says that the glorious transformation of our bodies will be done by the same power that Jesus will use to bring everything under His control (v. 21). 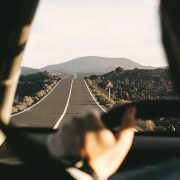 While our current earth is filled with corruption and selfishness (Philippians 3:19), living with our true home in mind means that we don’t have to allow ourselves to be controlled by these values and desires, but can “stand firm in the Lord” (4:1), knowing that He gives us the desire and will to live in a way that’s holy and pleasing to Him (2:13). This must have been comforting to the Philippians, who certainly knew what it was like to live in a fallen world. I must confess that it’s difficult for me to keep my focus on my true home all the time. Most evenings, I would come back after dinner and work on creative projects until midnight. 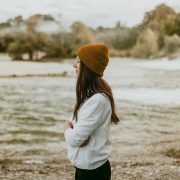 Even though productivity can be a very good thing, it had begun to become an idol in my life—and I found my mind set on “earthly things” (3:19) instead of adopting a heavenly perspective in all that I do. So this Lent, I decided to replace work with more prayer. Not having to hurriedly cram prayer between my projects has given me a whole new taste for patient, unhurried, “unproductive” prayer! And this type of prayer has impacted the way I live my life. While I used to be driven mostly by what I can accomplish, now I’m learning to dwell in His presence and allow His Word to speak to me and direct my life. It might be a small step, but I’m slowly beginning to live into the next kingdom. If you, too, struggle to untangle yourself from the ways of our earthly home and set your eyes on our true home, I’d like to encourage you to hold on to the heavenly hope that Jesus has promised us. As we look to Him, He will help us redirect our gaze and live for our true home, one step at a time. Take some time to examine your life. 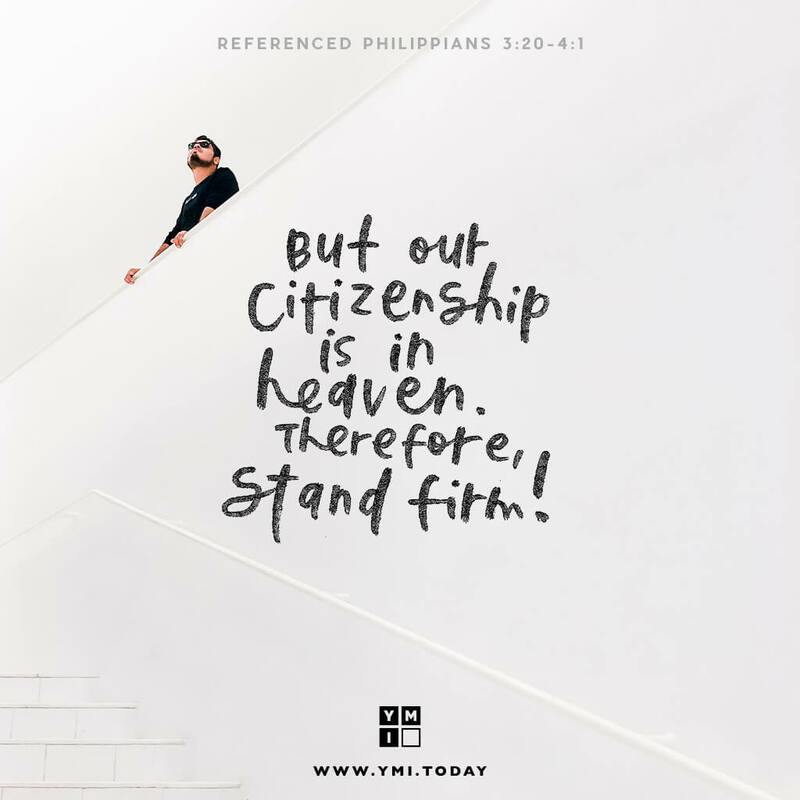 Do your actions and behavior reveal that you are a citizen of heaven? How does Christ’s future reign encourage you to “stand firm in the Lord” (Philippians 4:1) and look to Him to transform your actions and behavior? In what ways can you live out your heavenly hope in your daily life? Ross Boone (whose artist name is Raw Spoon) helps struggling Christians like himself using words and art. He has written 5 books and sells his art online. Find him at RawSpoon.com. 15All of us, then, who are mature should take such a view of things. And if on some point you think differently, that too God will make clear to you. 16Only let us live up to what we have already attained. 17Join together in following my example, brothers and sisters, and just as you have us as a model, keep your eyes on those who live as we do. 18For, as I have often told you before and now tell you again even with tears, many live as enemies of the cross of Christ. 19Their destiny is destruction, their god is their stomach, and their glory is in their shame. Their mind is set on earthly things. The apostle Paul shows us in Philippians 3:10-15 that Jesus wants us to not settle for mediocrity but to strain towards knowing Christ more and more. Indeed, if we do not realize how much we have to grow, then we are not yet mature Christians. But do not worry; Paul assures us that we can just ask and “God will make [that] clear to you” (v. 15). For that reason, in God’s kindness, He sends us the gospel wrapped up in human examples. What better way to demonstrate that Christianity really works in practice than to have it embodied in living, breathing messengers? That was the case for the Philippian church. They had seen the apostle Paul’s life alongside his words and now he writes to them to keep “your eyes on those who live as we do” (v. 17) and follow these good examples. There were plenty of people who followed in Paul’s example. Earlier in his letter, Paul names Timothy (Philippians 2:19-24) and Epaphroditus (Philippians 2:25-30) as two such examples. The key for the church was to keep following examples just like him, mature believers who were also striving for Jesus. Presumably, the more we follow examples like these, the more we become an example to others! It’s a never-ending cycle, passing on the gospel from generation to generation through the witness of our lives. As we follow the example of Paul, whose first example was Jesus, and this great crowd of godly witnesses, we are all becoming more and more like Him. Perhaps the reason Paul gives for this is surprising. We follow good examples because many others around us will be enemies of Jesus. It is sobering to think that Paul says “many live as enemies of the cross of Christ” (v. 18). The vast majority of people around us will not be godly examples to follow; quite the opposite. Being mature means knowing which examples to set our eyes on and which to ignore. Is it a bit extreme of Paul to call these people “enemies of the cross of Christ”? Well, possibly not. Given that these people have set their mind “on earthly things” (v. 19), they are totally focused on the here and now. They are living for nothing more than satisfying their appetites and glorying in temporary thrills, not considering that there may be an eternity beyond this life (v. 19). To this mindset, the sacrificial and loving death of Jesus that buys humanity a heavenly future is simply ridiculous. But to Christians, there is nothing more glorious than the cross! Nothing more wonderful than to think that He has bought us eternal joy and that we live to “press on to take hold of that for which Christ Jesus took hold of me” (Philippians 3:14). Thank God He gives us good examples to follow—people who show us what it looks like to press on in our faith. Thank God for the privilege of being an example to others, knowing that younger Christians are watching the way we live. Thank God He will never leave His church without good examples, until He brings us all home to be with Him. Who are the godly examples Jesus has placed in your life? Give thanks for them! How does knowing that other Christians are watching the way you live help you reevaluate the way you’re living your life? What earthly things are you tempted to set your mind on? Where does your wandering mind go? James works and lives in London, helping university students encounter Jesus in the pages of the Bible. It’s not a hard job because the Bible is brilliant. 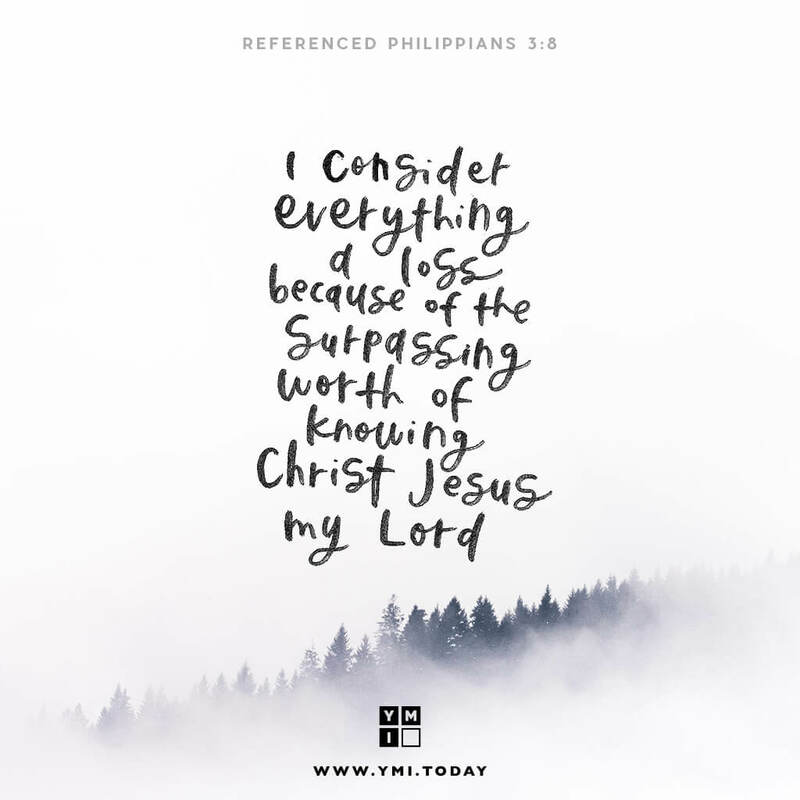 https://ymi.today/wp-content/uploads/2019/04/YMI-Reading-Philippians-Header-Day-18.jpg 613 1024 YMI https://ymi.today/wp-content/uploads/2017/05/ymi-logo-black-3.png YMI2019-04-24 00:00:162019-04-15 17:02:36Who Are You Following? What Are You Setting Your Eyes On? This question has always bothered me. Throughout my adolescence, I kept waiting for that culminating moment when I had finally “grown up”, only to realize that I still had a long way to go. I am not the perfect woman I had conjured up in my imagination. I have not “arrived”, and am not even close. I am still flawed, broken, sinful, and in desperate need of grace. 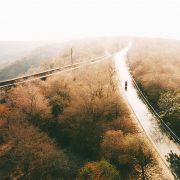 I am—even to this day—on a journey. But I draw comfort from the fact that even Paul did not see himself as having arrived at the Christian ideal, as having grown up. Instead, he encourages us to forget “what is behind” (v. 13) and fix our eyes on what God has set before us—a glorious eternity spent in relationship with Jesus. We may be bruised and broken by mistakes from the past. We may be weighed down by demands of the present. We may even be anxious about what’s unknown in the future. But these verses challenge us to broaden our vision and adopt a heavenly perspective. Two years ago, I lost my job—an experience that shattered my ideals of what it looked like to be a “successful” grown-up. 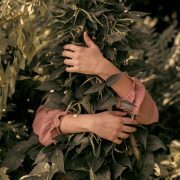 Through that painful experience, I realized that my identity was rooted in what I did, and not who I am. Paul clearly empathizes with our human conundrum; but he knows that for us to well and truly grow up, we must learn to grow out of our past and grow into our future. And truly knowing Jesus—and what He has to offer us not just in this life but the life to come—is ultimately what gives us the freedom to leave the past behind and grow into our identity as “citizens of heaven” (v. 20). I don’t know what obstacles you have experienced along the way in your own race to the finish line. Maybe you have made some bad decisions in your dating life; maybe like me, your first “dream job” hasn’t gone according to plan; or maybe you’re searching for a sense of belonging in a culture of 24/7 interconnectivity. What I do know is this: whatever our past mistakes or current anxieties, God loves us and desires us to know Him. God doesn’t always take our struggles away. After all, knowing Christ involves knowing his death and the power of his resurrection (Philippians 3:10-11)—we will struggle and undergo hardship in this life. But those struggles help us to grow into the vision He has for who we can become. If we desire to know Christ like Paul did, let us take our eyes off our temporary struggles and fix our gaze on the One who has already overcome every single one of them. Let us be strengthened by the fact that on the far side of our current struggles, there is a sweet eternity ahead of us, which we’ll spend with the One who loves us and knows us like no other. And that’s a prize worth aiming for. Looking back at my faith journey, I can see where there has been a lot of disappointment and hurdles to overcome, but I can honestly say that God’s plans for my life were so much better than my own. I only needed to trust Him. Instead of focusing all our attention on ourselves and the curveballs life throws our way, let us persevere by fixing our eyes on Jesus and the greater prize that is in heaven. Does the impossibility of achieving perfection this side of heaven encourage or discourage you? Why? What things in your past do you need to let go of? 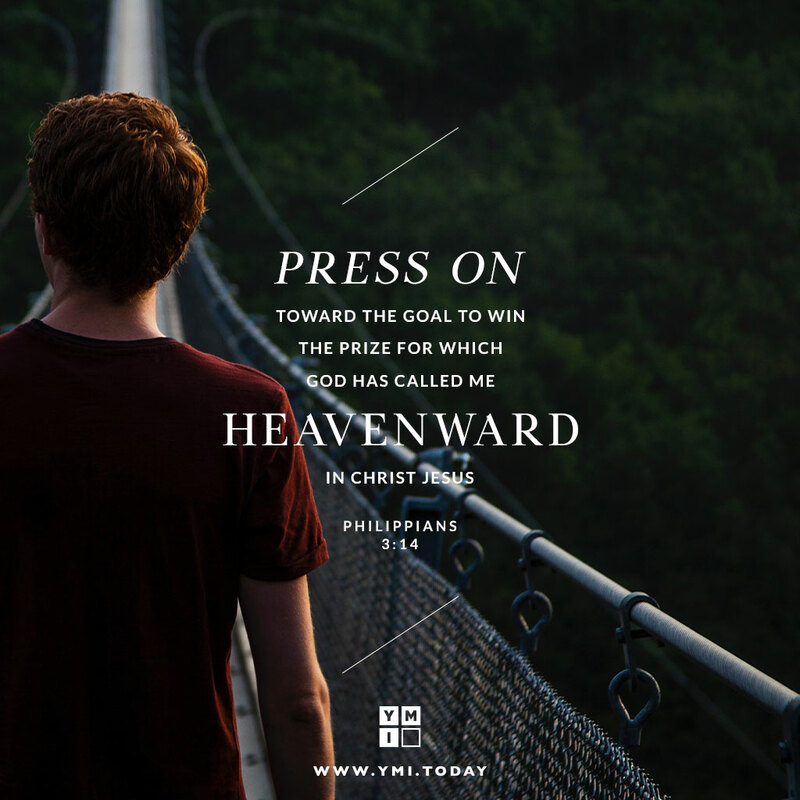 How can focusing on God’s eternal reward help you do so? Are there any current obstacles you need to surrender to God in prayer? When Rachel isn’t writing, you can find her searching for that perfect cup of coffee in a cosy café, planning her next travel adventure, and enjoying life with her husband, James. 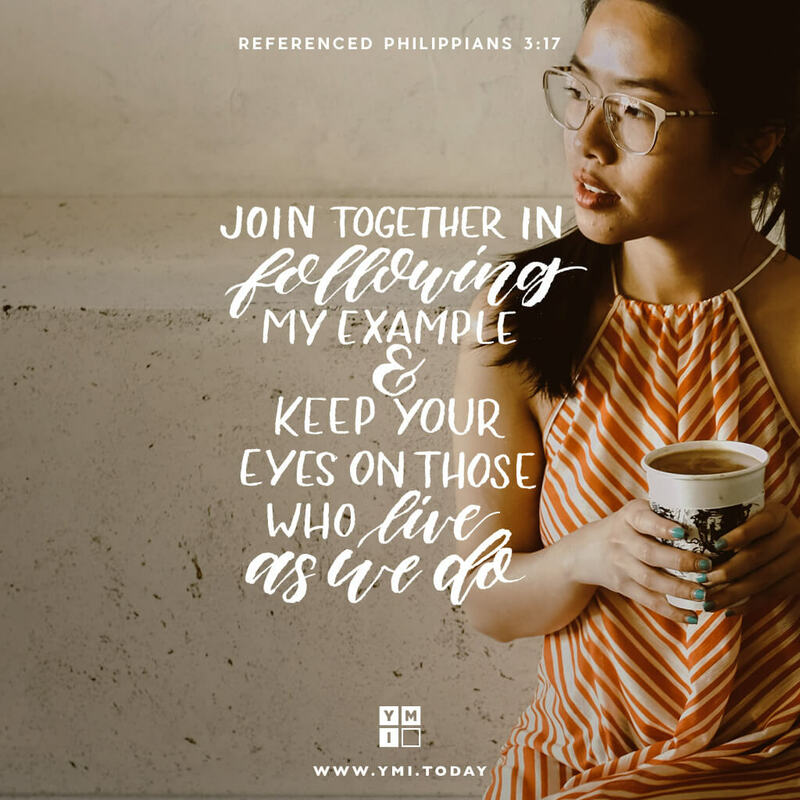 https://ymi.today/wp-content/uploads/2019/04/YMI-Reading-Philippians-Header-Day-17.jpg 613 1024 YMI https://ymi.today/wp-content/uploads/2017/05/ymi-logo-black-3.png YMI2019-04-23 00:00:112019-04-15 15:43:32What Are You Setting Your Eyes On? 7But whatever were gains to me I now consider loss for the sake of Christ. 8What is more, I consider everything a loss because of the surpassing worth of knowing Christ Jesus my Lord, for whose sake I have lost all things. I consider them garbage, that I may gain Christ 9and be found in him, not having a righteousness of my own that comes from the law, but that which is through faith in Christ—the righteousness that comes from God on the basis of faith. 10I want to know Christ—yes, to know the power of his resurrection and participation in his sufferings, becoming like him in his death, 11and so, somehow, attaining to the resurrection from the dead. My youngest sister has a bit of a crush on the English actor Tom Hiddleston. She is able to tell me which train line “Hiddles” uses when he’s in England and which cafés he frequents. She’s presently in flat denial that his character died in the movie Avengers: Infinity War. Yet, no matter how excited my sister is when discovering new facts about her favorite movie star, it’s clear that this excitement is incomparable to the joy she feels from loving, and being loved, by someone real. Her boyfriend surprised her on her recent birthday with a gift she really loved and a beautiful card that he wrote, as well as another gift from all their mutual friends. His thoughtfulness and the intimacy with which he really understood her moved her deeply, in a way knowing about someone from a distance never could. Not all of us have partners or are married. But all of us are invited to an intimate relationship with a God who knows and loves us beyond compare. When writing to the church in Philippi, Paul tells them that he so values this relationship with Christ, he is willing to “lose” his lineage, his pedigree education, his career, his prestigious rank, and his reputation in order to pursue and enjoy it (Philippians 3:5-6). It must have been a relationship that really brought Paul a deep fulfillment. He must not have simply known about Jesus—merely knowing the facts about someone does not incite a love that longs to share in the other person’s suffering (v. 10). Paul must have experienced something life-changing and completely satisfying when he met Jesus. In knowing Christ, Paul was set free from the burdens of trying to achieve a good standing before God through his achievements and lineage, but found acceptance through the finished work of Christ on the cross. The word “know” that Paul uses when he says “I want to know Christ” (v. 10) comes from the Greek word, ginosko. It’s the same word the Bible uses to describe the way a husband and wife know each other in sexual intimacy (see Matthew 1:25). It’s astonishing to think that it’s possible to have that kind of relationship with God, one filled with the pleasure and fulfillment of being fully vulnerable and fully loved, one shaped by an intimacy so deep that two become one. But that’s the relationship God is calling us into, so that we may enjoy oneness with Him again. This relationship heals the anguish of being separated from God in the Fall, and it gives us the privilege of being a close friend to share in Christ’s suffering (v. 10). In being drawn back into oneness with Christ, we “[become] like Him in His death”—dying to our sinful nature and surrendered to God (v. 10), and “attain the resurrection from the dead”—able to spend all of eternity in the presence of His love and grace (v. 11). It is in knowing and being known by Jesus that we become fully alive. Let us get to know Him. Not in the way we know about a movie star, someone we collect facts about and know only from afar. As we read the Scriptures, let’s invite Him to open our eyes to a new revelation of who He is and how He sees us. Let us pray for that revelation of Him to be so deep and intimate that it turns our eyes from the things of the world, and our reliance on ourselves, and draws us closer to Him. In Psalm 139 the writer marvels at how intimately God knows him, so much so that God’s thoughts “outnumber the grains of sand” (v. 18)! Ask God to reveal to you what He thinks about when He thinks of you. Is there anything you sometimes find more compelling than getting to know Jesus? Be honest with God and ask Him to give you the grace to desire Him more. Do you count everything you’ve gained as “loss for the sake of Christ”? What are some ways you can “gain Christ and be found in Him”? Nelle loves reruns of classic TV. She believes that good stories help us find our truest selves, and she’d be lost without the ones from Jesus, the Master Storyteller.